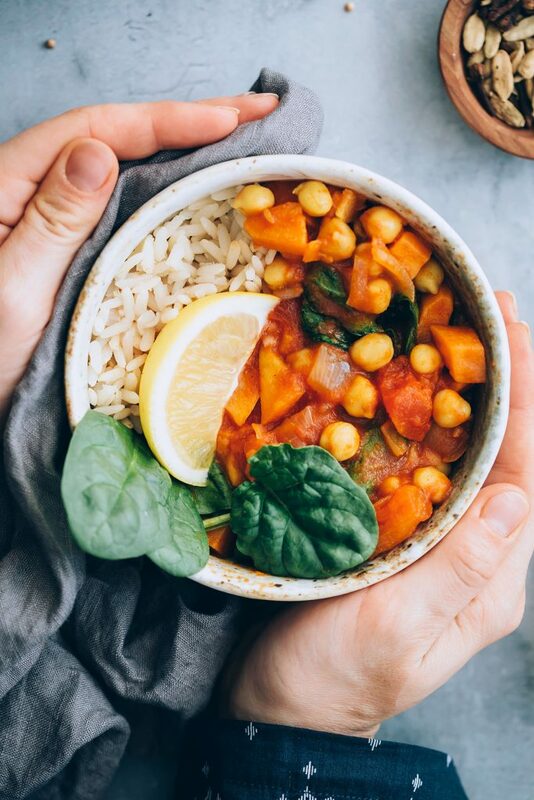 When it comes to vegetarian meal prep ideas, we’ve totally got you covered here at Hello Veggie. 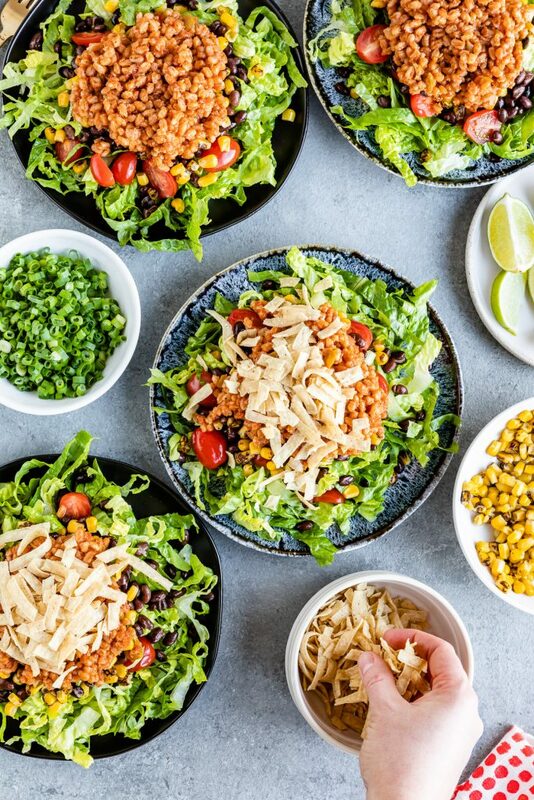 We’ve got categories for make-ahead recipes and freezer cooking and because our focus is on easy family-friendly meals, a lot of our recipes are a natural fit for meal prep. But sometimes it’s hard to know where to start! 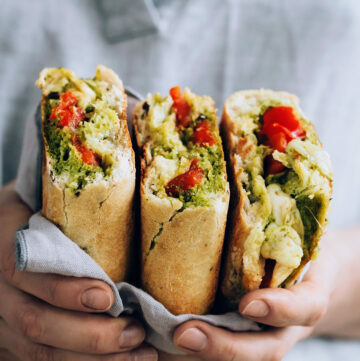 So I’ve rounded up some of my favorite vegetarian meal prep recipes–the ones I make for my family again and again. 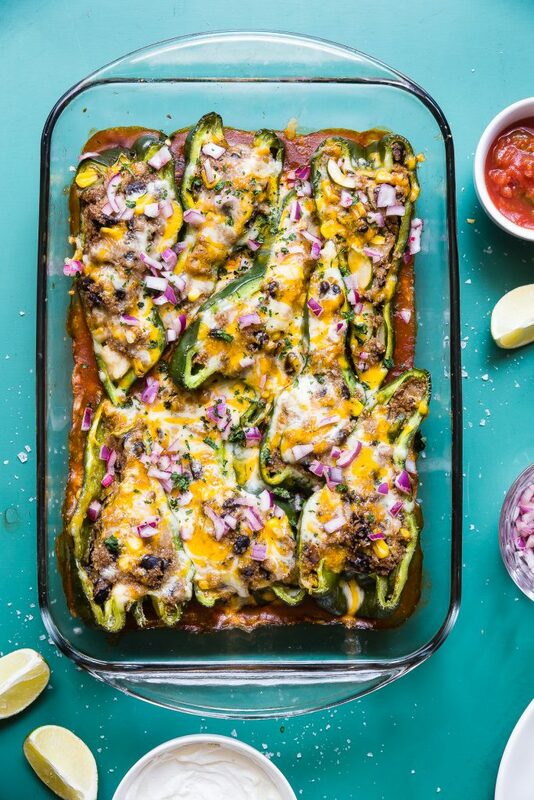 Another vegetarian meal prep staple? Bowls! This recipe works especially well for meal prep because the roasted vegetables will last in the fridge for several days. 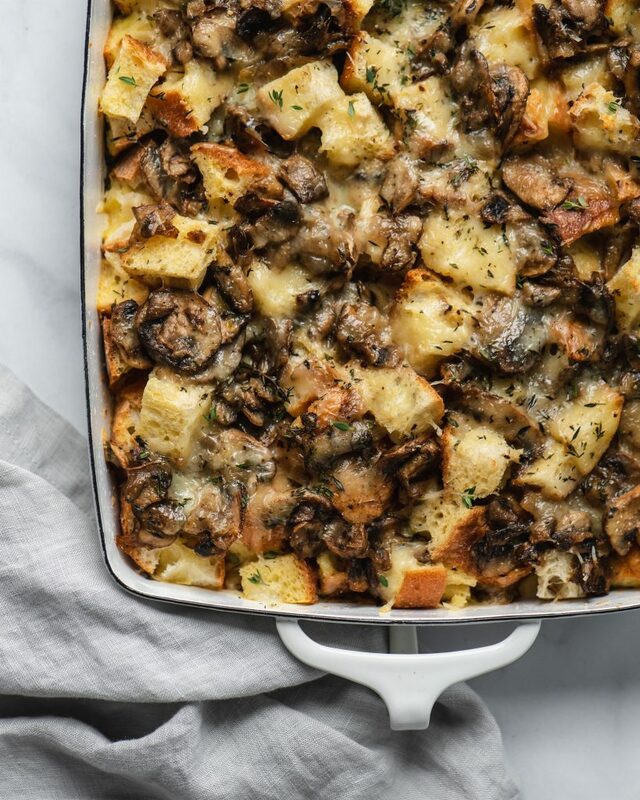 Strata isn’t just for breakfast–make it on a Sunday night, pop it in the fridge, and cook it for dinner on Monday. 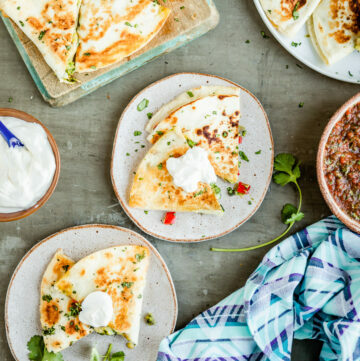 Leftovers are perfect for Tuesday’s lunch! 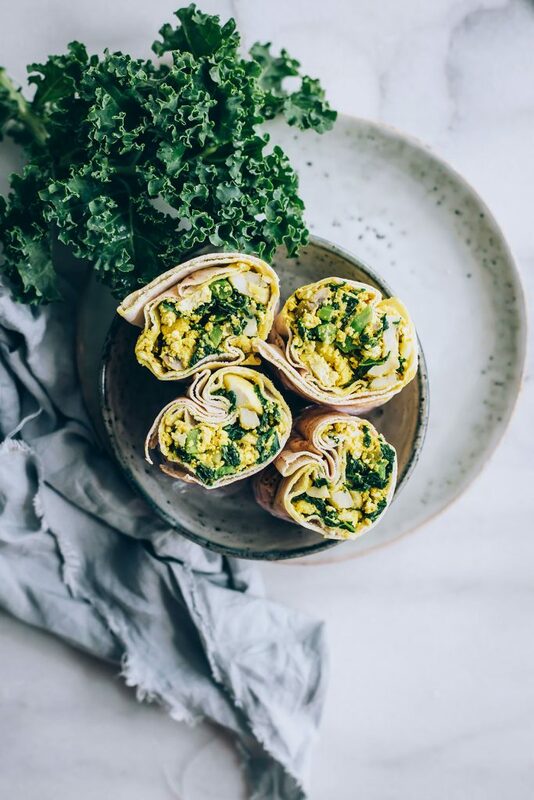 These protein-packed wraps will keep for a few days in the fridge or they can be frozen for a few months. 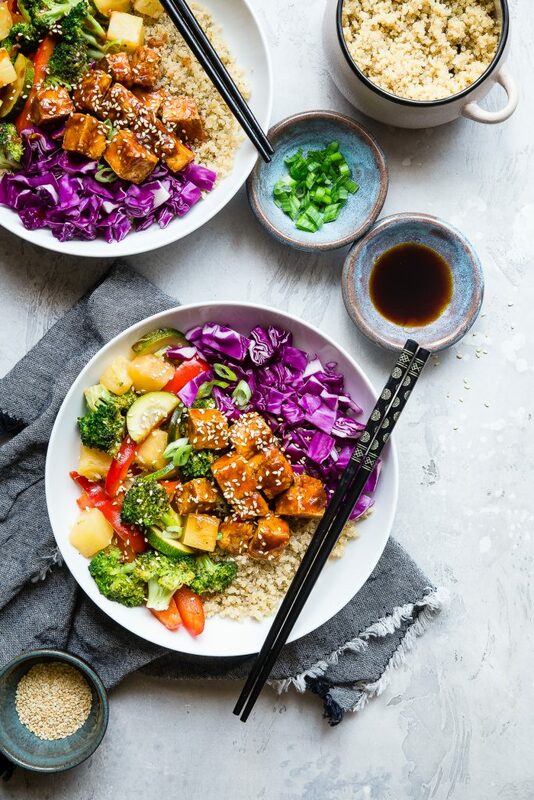 Vegetarian meal prep ideas don’t get much tastier than this–a sticky sweet barbecue sauce makes this stir fry totally irresistible. 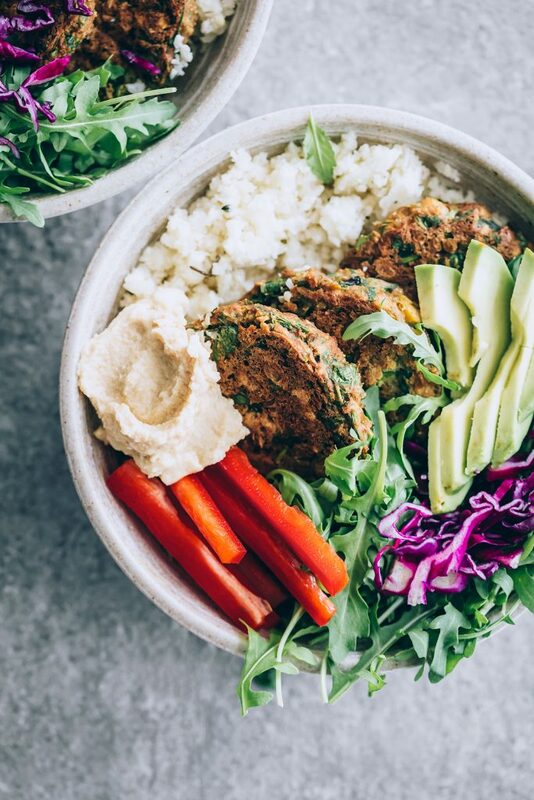 Falafel is another great thing to keep on hand for easy vegetarian meal prep. 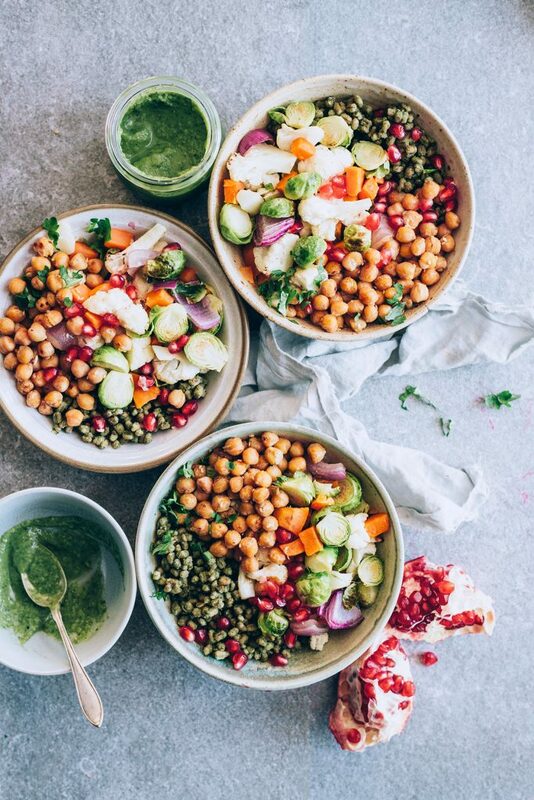 It freezes beautifully and it can be used in so many different ways–like in these power bowls. I love chilis and stews for meal prep because they always taste better after a day or two in the fridge. And they freeze well too! 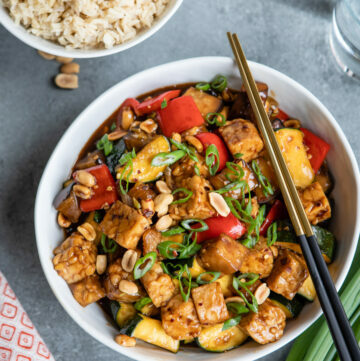 If you find yourself getting tired of meal prep bowls and salads all the time, try this recipe for something different. It’s a reader favorite! 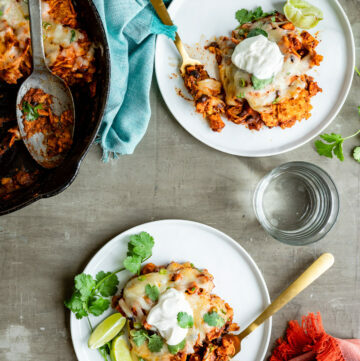 Skip expensive frozen vegetarian meals for lunch and make your own instead! 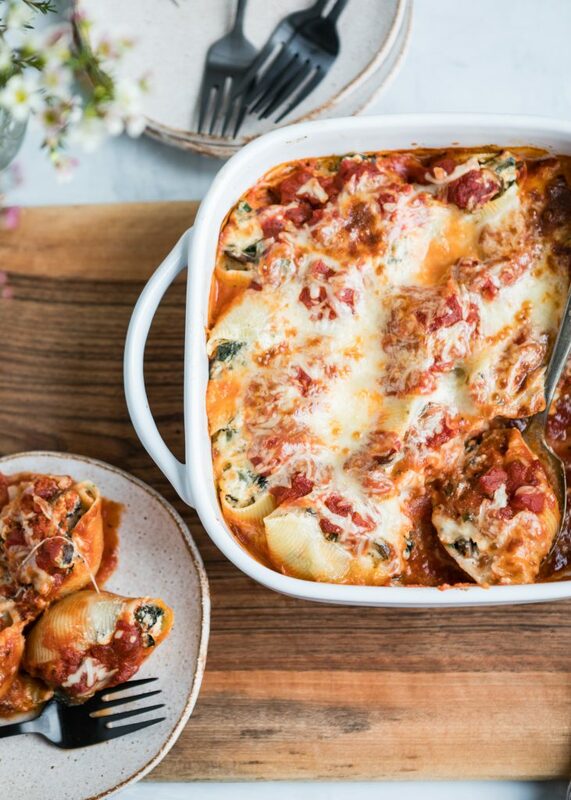 Stuffed shells are perfect for divvying up into individual portions and freezing. Do you love BIG salads? 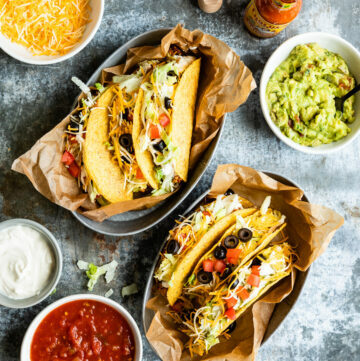 And tacos? Then you need to make this ASAP. 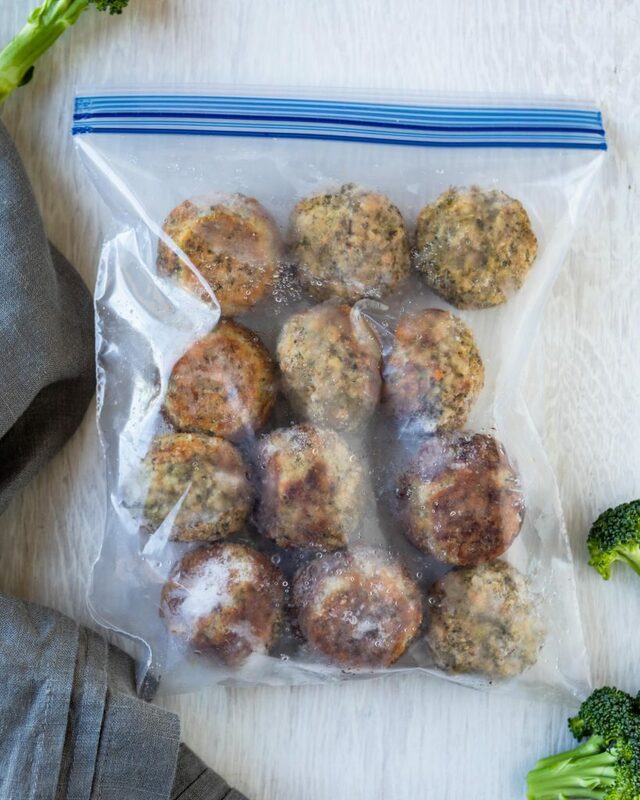 It’s great for vegetarian meal prep lunches, especially when packed in glass meal prep containers to keep each component separate until serving.